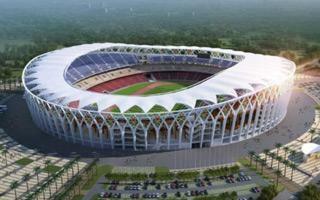 The new national stadium of Ivory Coast is expected to stand between two suburban boroughs of Ebimpé and Anyama. This remote location will take major sports events away from current downtown national stadium, roughly 25km north. New location has potential for decent commuting though, as it lies along major route towards central Ivory Coast. Designed in China, the stadium will hold up to 60,000 people for football or athletics. Like the current stadium, it will also have the concrete stands painted orange, one of national colours. This time, however, the facades will be hidden behind tall arcades of the external roof structure. This key aesthetic element will be further emphasized by orange-green-white decorations atop. Construction financed by China was expected to start in early 2016 but this proved unrealistic. Official groundbreaking took place in late December and the delivery time is 34 months. Together with the main stadium, this location is also expected to get a major sports center for other disciplines. In 2021 this place should host the African Cup of Nations. 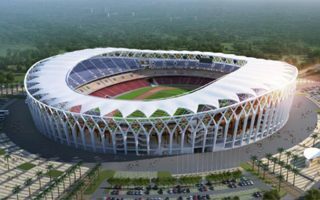 Nicknamed the Triumphal Arch, Ivory Coast’s new national stadium is now officially under construction. As usual, the Chinese will deliver the 60,000-capacity giant. 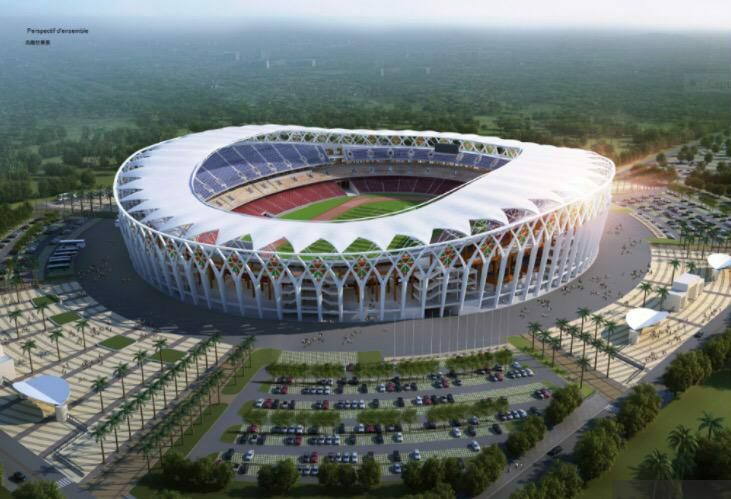 Another megaproject of the Chinese “stadium diplomacy”, this time for the Ivorian capital. New Olympic-sized stadium will be built for the 2021 Cup of Nations.